Imagine a commute where, instead of steering yourself through traffic, you can sip your coffee, get some work done or even nap while your self-driving vehicle makes your commute for you. Or perhaps your whole family could pile into a hotel-like car, sleeping through the night while your car takes you home for the holidays. 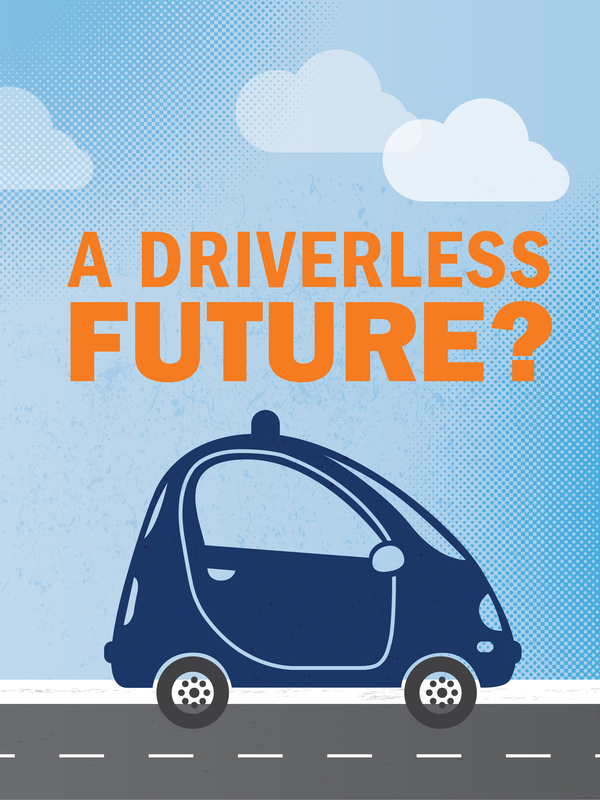 It sounds futuristic, but experts at the University of Virginia are already thinking about the implications as companies like Google, Amazon, Uber and Tesla design and test their first self-driving cars. Google’s autonomous vehicles have hit the streets in California, and the startup NuTonomy is beginning to test a U.S. fleet in Boston after successful tests in Singapore. In October, Uber put the first autonomous truck on the nation’s highways, transferring 50,000 cans of Budweiser from a brewery in Fort Collins, Colorado to Colorado Springs, 120 miles away. At UVA, Andrew Mondschein, an assistant professor of urban and environmental planning in the School of Architecture, is one of several professors studying how these vehicles could impact everything from the design of our cities and roadways to the quality of our environment. In the first scenario, Mondschein said, shared fleets of self-driving cars could shuttle people around cities and reduce the need for privately owned vehicles, thereby reducing vehicle emissions. More people might also walk, cycle or use public transit for short distances while hiring self-driving cars for longer distances. More self-driving cars could reduce the amount of vehicle emissions. His colleague in the School of Engineering, Assistant Professor of Civil and Environmental Engineering Donna Chen, found that, compared to current transportation modes, a fleet of self-driving vehicles could offer price-competitive transportation making around 22 trips per day, roughly four to seven times the rate of individually owned, driver-operated vehicles. If a ride-sharing program were instituted, she said, that rate could double. “Self-driving vehicles could be a perfect option for overcoming barriers currently limiting car-sharing and green vehicle adoption,” Chen said. Chen also said that the proliferation of self-driving cars could change the housing landscape by reducing the need to live so close to major transit hubs and thus reducing price hikes in those areas. “It could challenge ideas of gentrification and dilute land value so that it is not quite as extreme,” she said. More self-driving cars could reduce the cost of living in or near cities and transit hubs. In his second scenario, Mondschein points out that self-driving cars could exacerbate suburban sprawl, because people could be more productive while commuting and more willing to undertake longer commutes and move further from their jobs. Cars could function as extended living spaces, where people spend more and more of their time. More self-driving cars could push more people to the suburbs and exacerbate sprawl. The choice between those two futures could be up to planners and public officials in individual cities, Mondschein said. He points to London as one example. There, city officials chose to use revenue from a congestion charge to narrow central London’s roadways, leaving less room for cars and more for cyclists and pedestrians. “Some drivers complained, but it did create a much higher level of service for pedestrians, cyclists and transit riders,” Mondschein said. Because self-driving cars are expected to be more accurate than human drivers, widespread adoption could lead to more highway capacity, narrower lanes and more space. Certain infrastructure changes will also depend on exactly how the technology develops. Some companies, like Google, are developing autonomous vehicles that drive independently of any network, relying on very detailed mapping programs. Others are developing connected vehicles, which rely on external infrastructure – such as sensors and alert systems – to provide information about speed, terrain and obstacles. Of course, such decisions carry significant social and ethical consequences. Mondschein has already given a presentation to the U.S. Marines discussing the potential security implications of self-driving cars. For citizens, self-driving cars could significantly improve the lives of those currently facing limited mobility, such as senior citizens. More self-driving cars means senior citizens could get around more autonomously. On the other hand, Mondschein pointed out that there are significant ethical concerns about, for example, having self-driving cars drop children off at school. More self-driving cars could raise ethical concerns. The Engineering School’s Chen also pointed out potential benefits for a group she calls “captive riders” – those who are forced to rely on public transportation because they cannot afford to own a car. Those riders are fairly well-served in large urban areas, she said, but often endure long waits and irregular service in less-urban settings. Self-driving cars could improve their mobility, provided that the services are not cost-prohibitive. “We would need to think about cooperation between public agencies and private entities, who might own and operate self-driving fleets, and what might happen to those who cannot afford the price per trip,” Chen said. Both Mondschein and Chen acknowledge that answers to many of these questions remain unknown. The technology is simply not there yet, though both believe it is coming.